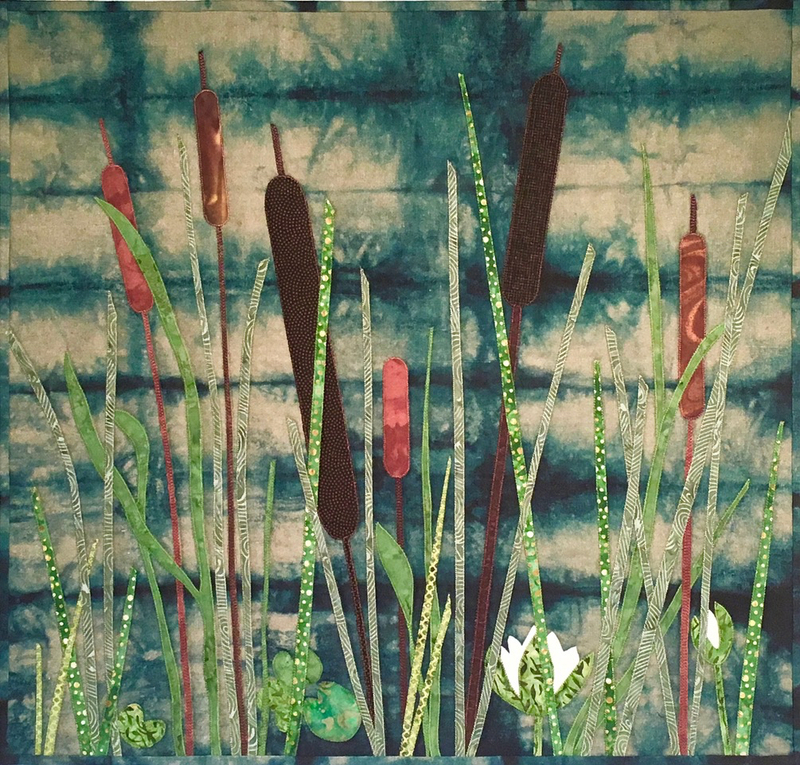 This exhibit showcases the work of three leading fiber artists who explore Western North Carolina’s mountains, meadows and marshes using fabrics and fibers. Their quilted wall art offers a link to familiar images of this region, echoing the Arboretum’s role of connecting people with plants. Through their diverse styles, construction methods and subject matter, artists Mary Stori, Judy Simmons and Kate Weston add a contemporary twist to the area’s rich and storied quilt-making tradition. Their exhibit features pieces of varying sizes, from large focal-point wall hangings to medium-sized wall art to small work suitable for tabletop display. All pieces are for sale, with a portion of the proceeds benefiting The North Carolina Arboretum Society. From her home in Clyde, N.C., Mary creates botanical and organic themed art quilts using artisian-made, hand-dyed cotton, linen, silk and rayon fabrics. She also utilizes hand-felted and hand-dyed wool as rich backdrops, offering texture and depth to her work. Bead embellishment is another one of her trademarks. Learn more on her website. Judy creates her own fabric in her Fletcher, N.C. studio using surface design techniques, including fabric marbling, dyeing, color lifting and silk screening. Much of the imagery in her work utilizes her own photography printed on fabric. To learn more about Judy, please click here. From her home in Statesville, N.C., Kate focuses on the creation of complex cloth through the application of dye, paint and embellishment, such as fabric overlay or manipulation and the application of non-fiber materials. Coupled with skillful machine quilting, Kate’s works create and stunning interplay of color and texture. Please visit Kate’s website to learn more.